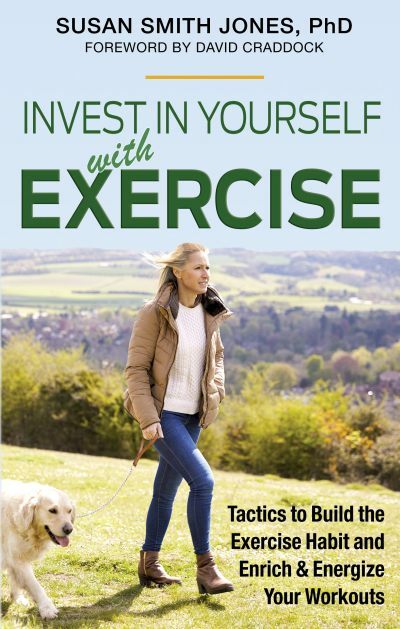 Click HERE to listen to my radio interview on This Week in America with host Ric Bratton on Time to Cleanse: Simple Tips for Whole-Body Detox Year-Round. Most poisons and toxins in the body are acidic. Chronic acidification can hinder the body's ability to detoxify its elf and compromise the liver and digestive system. Liver enzymes needed for Phase I and Phase II detoxification are highly pH sensitive and are responsible for the chemical biotransformation of toxins into water-soluble metabolites for excretion in the urine. When the body is chronically acidic, these enzymes become compromised and unable to perform properly. 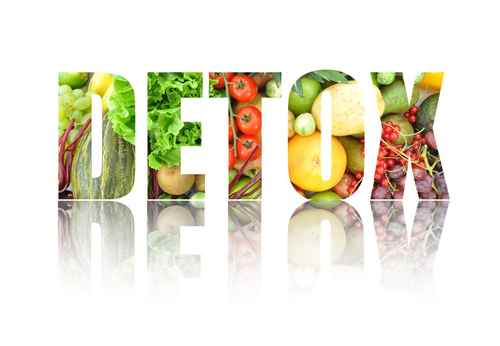 The solution—regular, effective, whole-body detoxification. 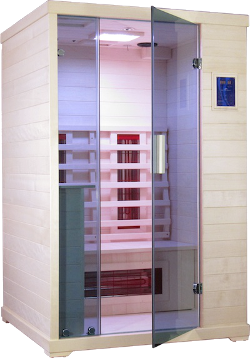 Far infrared sauna therapy, alkaline water, and the Liposomal Detox Cocktail boosts the body's ability to detoxify, leading to significant and lasting health benefits. These modalities are recognized worldwide by medical doctors and health practitioners as the most effective method of removing both chemical and heavy metal toxins (including mercury) from the body. 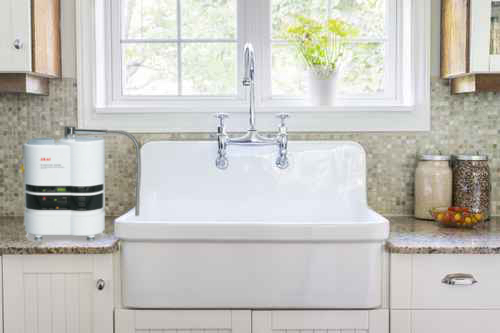 Alkaline water from the Ionizer Plus device (shown next to the sink in the photo above) enhances and accelerates the detoxification process and is exactly what the body needs to flush toxins. Alkaline hydration enhances the physiological processes responsible for attaining and maintaining proper blood pH balance and urine alkalinity. Drinking alkaline water reduces the acidic waste load on the kidneys; the higher the pH of the kidneys, the less they will have to work to excrete toxic waste. To order #'s 1, 2 and 3 above, call Emery at Ext. 813, the Detoxification & Product Specialist: 800-794-5355 (US & Canada) or 303-413-8500 (Intl), MT at High Tech Health International. 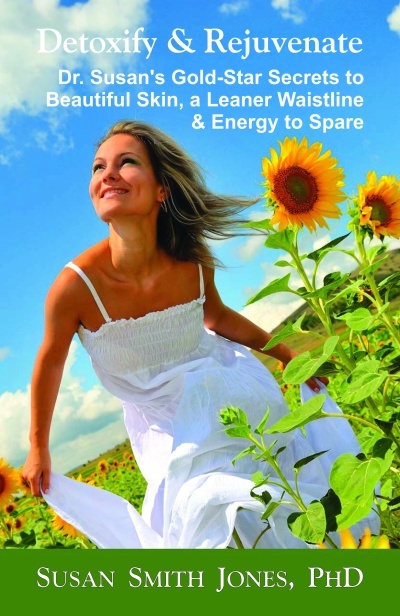 She will help you with your health concerns and which products are best for you. See below for special discounts. IS THIS DETOX COCKTAIL FOR YOU? If your diet is less than perfect — if you eat processed, overcooked, artificially flavored, and unhealthy foods; if you crave sweets and fried foods; or if you are in the habit of eating dairy, fish (which contains mercury), or overeating in general, you need to take this Detox Cocktail daily. 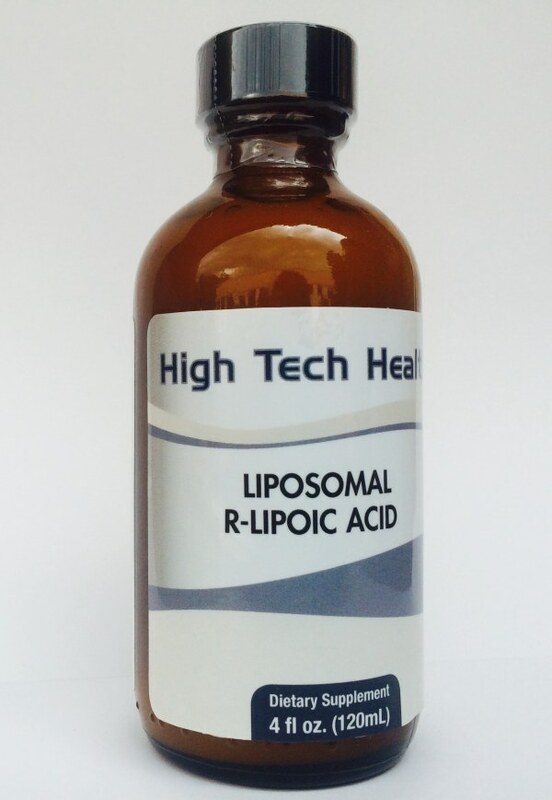 If you are not eating a totally organic diet; if you are under lots of stress day in, day out; if you suffer from depression or fatigue; or if you have a hard time losing weight and keeping it off, you definitely want to go on this whole-body cleansing and rejuvenating Liposomal Detox Cocktail. 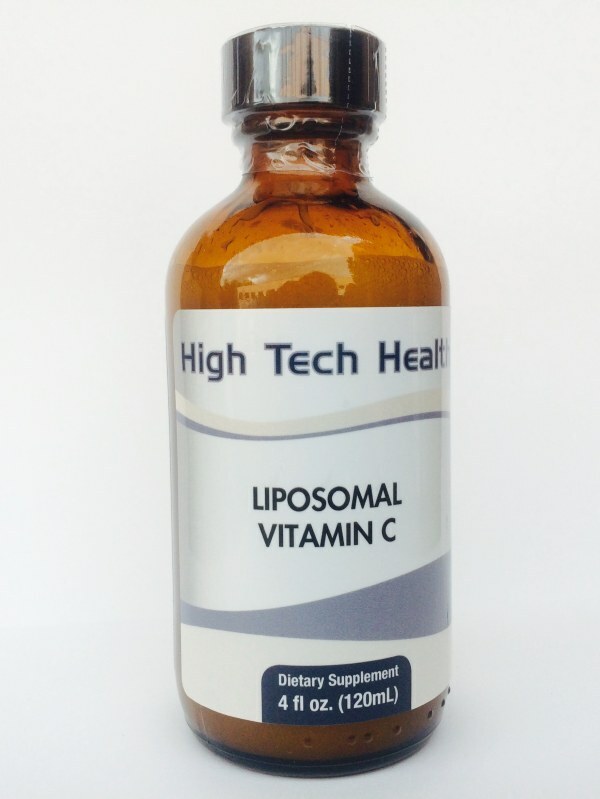 Whether you embark on this cocktail program bi-monthly, for three consecutive months (any three months during the year), quarterly—with each change of season as I do, or daily, this Liposomal Detox Cocktail is the perfect regimen to detoxify, cleanse, rejuvenate, heal, and energize your miraculous body from head-to-toe, inside out. Try it for one month (30 days) and you'll see and feel a positive difference. TRANSFORM YOUR HEALTH AND LIFE IN ONE YEAR: If you can commit to taking this Detox Cocktail for 12 months, you will be amazed at how energetic, vibrant and young you will look and feel — about 10-15 years younger! 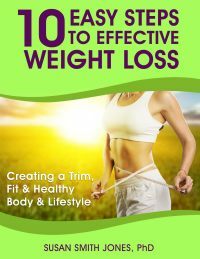 Many of my clients and friends have completed one year on this Detox Cocktail, and they're grateful for their salubrious results! In just one year, you can completely detoxify, rejuvenate, and reinvigorate your body. Personally, it's been a godsend in my life, keeping me radiant and forever youthful. After taking this Detox Cocktail daily for one year, I have now cut back to taking it quarterly for 30 days, every three months with each change of season. FOR THE BEST RESULTS: When you take this efficacious Detox Cocktail (a teaspoon of each daily on the tongue or mixed in water or juice), you'll get the most benefits if you simultaneously undertake other detox practices on the days you take the Detox Cocktail. 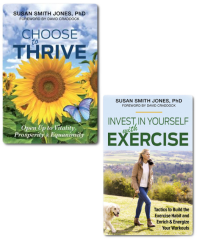 This is what I do and recommend to you: Exercise more; sweat (from exercise, an infrared sauna, or a hot bath); get 30 minutes of sunshine; drink extra alkaline water; eat more greens (salads with leafy greens, green smoothies; green juices); enjoy extra sleep; oil pulling (refer to the chapter in my book Body Temple Vitality; and think happy thoughts. 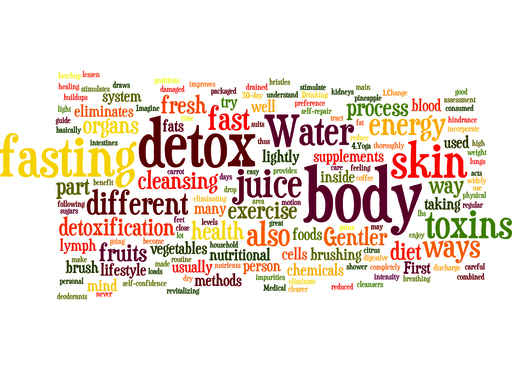 I know of no better or faster way to cleanse/detoxify the entire body, rejuvenate your 70+ trillion cells, and to look and feel years younger than by taking the Detox Cocktail, drinking ample Ionizer Plus alkaline water, taking regular Thermal Life infrared saunas, and eating a clean, healthy, colorful diet with lots of fresh, organic produce. This is my prescription to reverse aging, slim down, quell depression, bolster energy, and create youthful vitality... no matter your age. TIP: I often pour a half glass of Ionizer Plus alkaline water and fill the rest with juices like coconut water, pomegranate, apple, orange, grapefruit, pineapple or other fresh juices. Next, I put in a teaspoon each of the three Liposomal Detox Cocktail elixirs. I savor every sip knowing that this health-enhancing cocktail is healing, detoxifying, cleansing, energizing and rejuvenating my body from head to toe. Sometimes when I'm in a hurry or don't want juice, I put the teaspoon of each elixir directly in water and sip, or even pour a teaspoon of each into a larger tablespoon and take it straight from the spoon without mixing with juice or water. And the easiest and quickest way to take this Detox Cocktail is to simply put a few drops of each directly on your tongue and enjoy. FOR THE BEST PRICING: Since I take the products quarterly for 30 days year-round, I get auto-shipments every 90 days with each change of season (spring, summer, fall, winter) to save the most money. You get a substantial discount on the 3-month supply (who doesn't like to save money?). With a 1-month supply, it's $20 off. With all orders, using my name as a code ("SSJ") gets you the discounts. 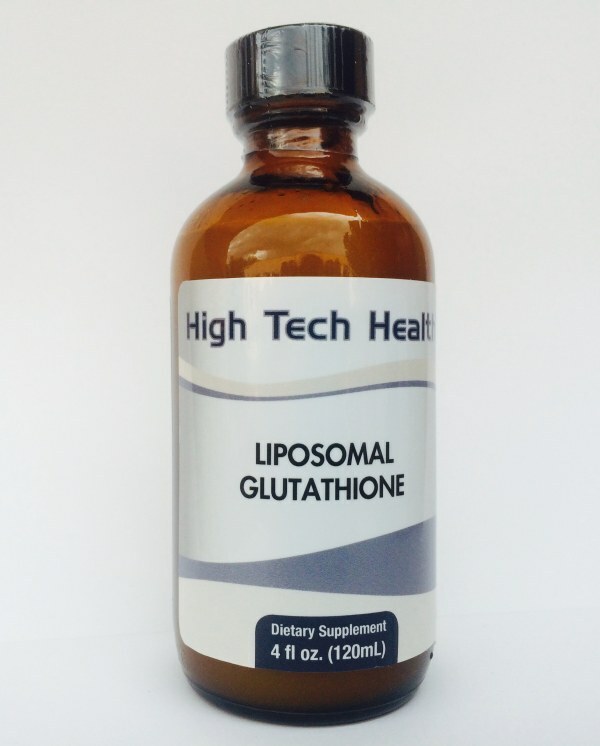 Only the highest standards go into making this singular Liposomal Detox Cocktail. There's no processing that causes oxidation, no chemical solvents, and no high heat. It's a mechanical process that is patented. 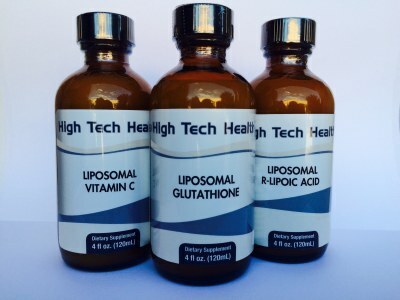 For those of you who would like to review the scientific documentation from High Tech Health International on the efficacy of these three Detox products, please click HERE. Together, these three science-backed products comprise the perfect DETOX COCKTAIL. Taking this cocktail daily is one of the main reasons I never get sick and am full of youthful vitality and vigor. I choose to keep my body cleansed and detoxified year-round. I encourage you to do the same for one year. First time buyers get a discount, too. Some of my clients take this cocktail daily, some bi-monthly for 30 days, some three consecutive months, while others take it quarterly for 30 days (as I do now after taking it daily for one year), or fit in three months during the year when convenient. Adding this trio Detox & Rejuvenation Cocktail into your program will make a positive difference in your health and vitality. To order the Detox Cocktail, Thermal Life Infrared Sauna and the Ionizer Plus, call: 800-794-5355 (US & Canada) or 303-413-8500 (Intl), MT. Ask for Emery at ext. 813, the High Tech Health International Detoxification & Product Specialist. She's friendly and knowledgeable and will help you with any health concerns you may have and which products are best for you. Tell her hello from me. Emery is the person I call when I have questions. She will help you get the best pricing and discounts, too. You'll get substantial discounts when ordering an Ionizer Plus, the Infrared Sauna, and when ordering the one month Liposomal Detox Cocktail for the first time. And the best discount is with the 3-month supply of the Detox Cocktail, which you can have auto-shipped to you quarterly, as I do. Mention my name ("SSJ") to get the discounts.